Less than 7% of police forces in England and Wales have a comprehensive plan to deal with a large scale cyber incident, reveals an official report. Cyber incidents are one of just five threats government set as police priorities in 2012. 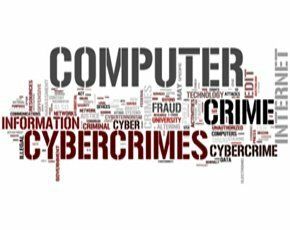 The report notes that the culmination of individual cyber crimes or the commission of a single attack could cause a large scale cyber incident. Only Derbyshire, Lincolnshire and West Midlands police forces have adequate plans, out of a total of 43 police forces, according to the report by Her Majesty's Inspectorate of Constabulary (HMIC). The HMIC report – which looked at how prepared police forces are for the five priority national threats – also found that only 2% of police, across 37 police forces, have been trained to investigate cyber crime. The report is the first in a series on how well police forces have responded to government guidelines on cyber crime, terrorism, civil emergencies, organised crime and public order threats. The report said the response to national threats by individual forces has "not changed appreciably” since the threats were set as priorities, by the government’s 2012 Strategic Policing Requirement (SPR). HMIC inspectors said they were "struck by how incomplete the police service's understanding of the national threats was", and that more needs to be done by all forces. They said that, while the capacity and capability of the police to respond to national threats is stronger in some areas than others, the response to the cyber threat was the least well developed. HMIC inspectors found the ability to deal with cyber threats remains "largely absent" in some forces. They said some senior officers are still "unsure of what constituted a large-scale cyber incident". They found forces were "silent" when it came to preventing cyber crime and protecting people from the harm it causes, despite the fact it is "fast becoming a dominant method in the perpetration of crime". The report notes that police will soon have to operate just as well in cyberspace as they do in the physical world. Two further reports, due this year, will provide an in-depth examination of how well the police service has met the requirements of the SPR in relation to public order and a large-scale cyber incident. National policing lead for public order at the Association of Chief Police Officers (Acpo), chief constable Justine Curran said police forces have continued to improve and develop an understanding of cyber threats. However, she said there was "more to do to develop a clear, consistent approach," particularly when it comes to cyber crime, according to the BBC. Curran said police chiefs and the College of Policing will use the HMIC report to enhance capabilities where possible “within the current financial austerity across policing”. A lack of resources was highlighted by Andy Archibald, head of the National Crime Agency's (NCA) National Cyber Crime Unit (NCCU) at the 2014 e-Crime and Information Security Congress in London. He said that, in a modern crime investigation environment, law enforcement organisations need access to technical skills like writing and reverse engineering code. But Archibald said it is a challenge for law enforcement organisations to attract, retain and reward the best people with these skills in competition with private sector demand and attractive salary packages. “To get access to those skills we have to look at how we can engage with industry through programmes which allow people to work with law enforcement on a part-time voluntary basis,” he said. However, Archibald said the NCCU plans to invest a “considerable amount of money” in future in developing law enforcement officers from officers on the beat all the way up to the high-end skills.